Sony Entertainment Television is now looking at bringing the Israeli reality show Power Couple to India.‘Power Couple’ is an Upcoming Tv Show which is going to be Launch soon on Sony Tv.This show is staring from October,2015. 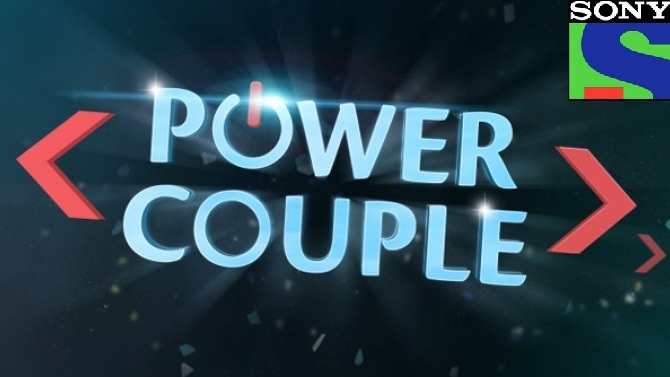 ‘Power Couple’ Tv serial is being produced by Colosceum Entertainment. It is likely that Sony may pitch the show against Colors popular and well-established reality drama Bigg Boss. "Pyaar mein badi power hoti hai!" It is said that true love blossoms only with time and challenges couple face together. For the first time on Indian Television, real life celebrity couples will enjoy the true test of love. This test of love would be a fun and entertaining series of challenges - psychological and physical. The real question would be how far are they willing to go for love? It will be amazing to find out how much they know, trust and love each other. Get ready for the ultimate test of true love. Arbaaz Khan is all set to enthral the audiences wherein he comes as host for the first time ever, on 'Power Couple'.His wife, the ravishing Malaika Arora Khan will support, encourage and motivate him through his journey. One of the most envious couples of Bollywood is all set to come together for the first time on Indian television. They will be seen interacting with the couples offering some power advice on the basis of their long relationship. An actor producer Rahul and one of the leading actresses on Indian TV, Pratyusha have been dating for three months. After a bad break up, she found her love in a friend from her hometown. Former cricketer and actor Salil and Dr. Ria got introduced through common friends, when he was struggling with alcohol addiction. Ria believed only love can heal him and sacrificed her career to pull him out of this dark phase. DJ Percy and Popular TV face, Delnaaz have been together for two and a half years. Though Percy is younger to her, their troubled past makes them believe that love has given them a second chance. 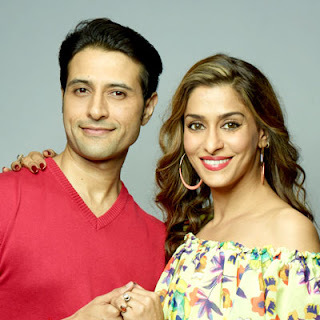 A successful reality show judge and Producer Naved and his NRI banker wife Sayeeda have been married for three years. He is a street smart Mumbaikar and she is a successful Corporate American, who is still struggling to make India her home. Actor Model Shawar Ali is married to Ballet Dancer, Oprah Singer and Model Marsela Ayesha. Both of them met on a show and fell in love. They both had a live in relationship for 2 years and recently tied the knot. She is multi talented and Shawar loves that about her. One of the most popular couples of the television industry, Aamir and Sanjeeda are married for 3 years. They had the perfect romance followed by a fairy tale wedding. An enormously confident couple who are ready to put their relationship through any test and are sure, they will emerge victorious. Model/actor Rahul Devand Mugdha Godse have been dating for a year. Mugdha came into his life as a friend, who helped ease his pain after he lost his wife of 11 years to cancer. They found love in each other and she stood by him as a pillar of strength. Dancer Sandeep Soparkar and Super Model Jesse Randhawa have been together for 10 years and been married for 5. With one son, the couple shares a passion for dance. Shilpa & Apoorva married for 11 straight years They believe they are the happiest people alive and have the perfect tuning with each other. They recently started dating. They have found love in each other and are ready to walk the path together.